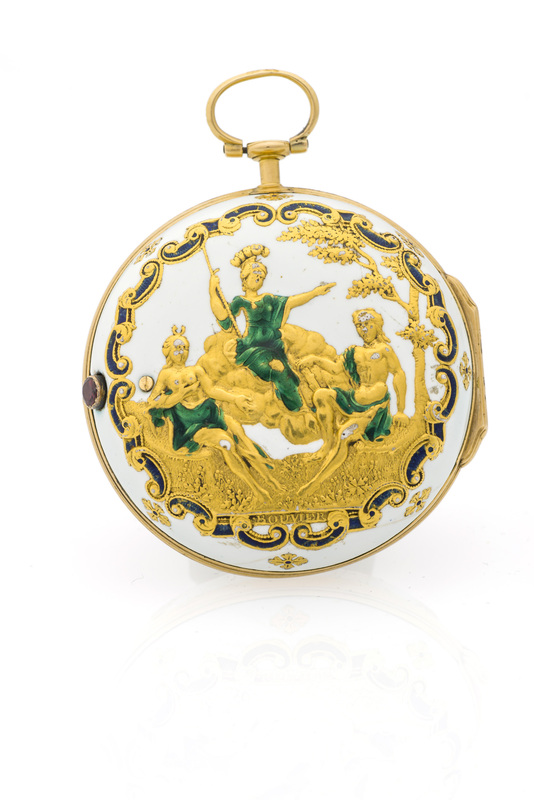 ARGAND ENAMEL POCKET WATCH Very fine and rare gold and enamel pocket watch. Signature on the back plate Jn. Louis Argand and Bouvier on the case.